Waterfront Town home. Fabulous lagoon view with golf course view beyond. Best long view in neighborhood. Kitchen open to living room--has breakfast area. Spacious living room with fireplace & sliding doors to deck. New flooring downstairs. Both bedrooms upstairs. Master bath with garden tub, double vanities-walk in closet-and private balcony. Guest bedroom with private bath and spacious closet. Hall laundry center. 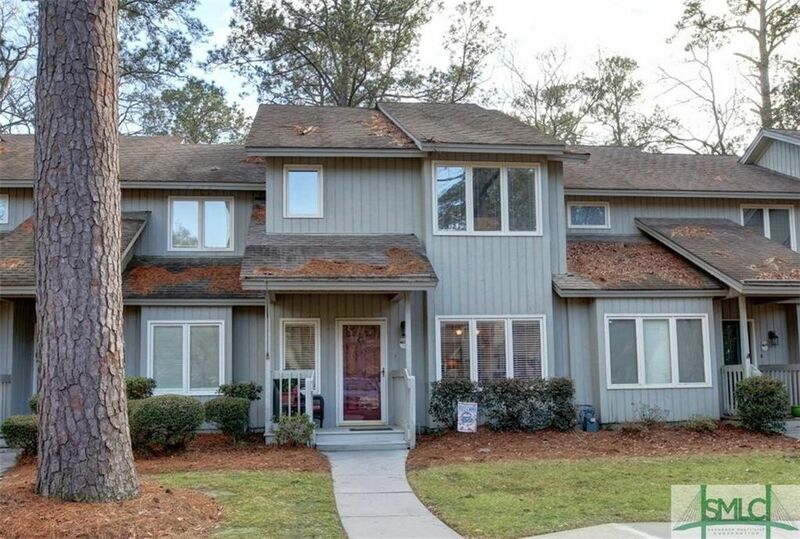 Island Creek offers pool, tennis & plenty of green space to walk your dogs.Come Home to Island Creek on Wilmington Island ! Just minutes to Tybee and downtown. Directions: Johnny Mercer to Wilmington Island Rd - turn between churches - at Cromwell - 2nd neighborhood on right Island Creek - take right - on right.